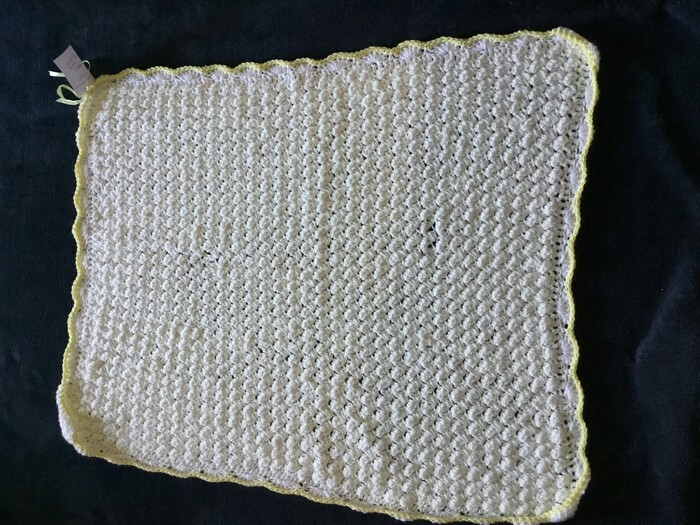 This beautiful bubble stitch blanket is cream in colour with a lovely lemon border. It is made of 100% premium acrylic. The measurements are approx 75cm x 60cm.